Job description: Artistic director (edition 2014), Head of Marketing and Communications (2013 / 2012). 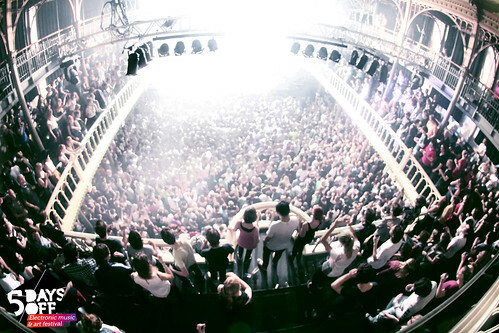 Each year at the beginning of March, groups of young musicians from all over Europe and the US arrive to Amsterdam to participate in the electronic music festival. 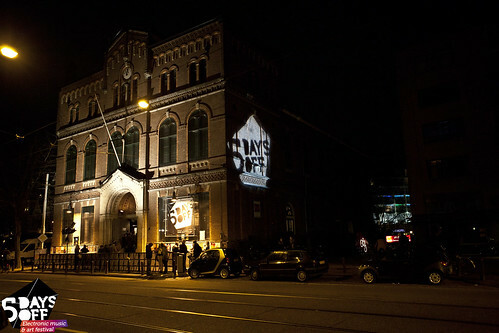 Originally, just one of many indoor dance events taking place in Amsterdam, “5 Days Off” became an important cultural meeting with the reputation beyond the Netherlands, giving its young public five days of nightclubbing, live shows and performances. 5 Days Off is a festival that includes music and cultural events in Amsterdam, Netherlands. It started in 2001 as spin-off of Ghent, Belgium’s Ten Days Off festival. The 2009 festival included artists, photography and other events such as a free show called “Wearable Technology: Powered Art and Fashion. 5 Days off developed as a spin-off of the 10 days off festival in Ghent and was the first multi-day indoor dance event in the Netherlands. Over the past years, the festival programming has gained in bandwidth considerably. The effort to offer a high-quality cross-cut of international electronic music has returned itself and built 5 days off a strong national and international reputation. It has grown out of a fairly small festival in the Amsterdam Melkweg into a true city-wide festival, which now also involves Paradiso and debating centre De Balie.